A/D/O creative space opens in Greenpoint, Brooklyn. We are proud that Principal Holger Schulze-Ehring helped achieve this project with nARCHITECTS and under SGH. Principal Holger Schulze-Ehring receives Faculty Achievement Award from RPI Board of Trustees for his Endowed Chair Professorship. 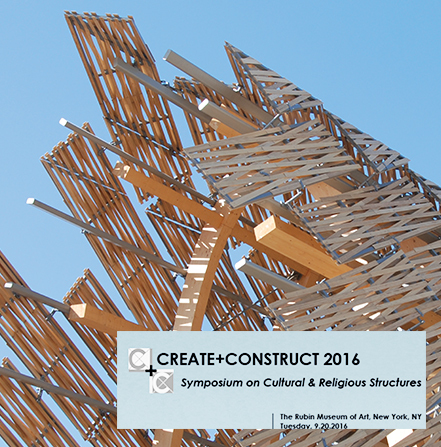 Principal Holger Schulze-Ehring represents Büro Ehring at the Create + Construct Symposium 2016, presenting a case study digital design and fabrication. RM Williams store opens in SoHo, Manhattan. Büro Ehring is proud to have collaborated with actLAB on the boutique store’s design and looks forward to upcoming designs throughout the country. 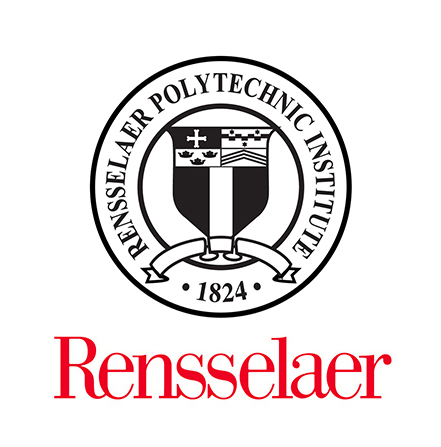 Principal Holger Schulze-Ehring receives esteemed Bedford Endowed Chair Professorship at RPI School of Architecture and School of Engineering. Büro Ehring and Atelier Jordan receive 2nd prize for their entry in the Baye de Clarens Viaduc Competition. We say thank you for the recognition and a great collaboration. Principal Holger Schulze-Ehring presents “New Facades: Energy Performance, Emerging Technologies, and the Future of Design” at Facades + 2016 in NYC. The China Pavilion receives Gold Engineering Excellence Award & National Recognition Award from ACEC. The China Pavilion receives Award of Merit in Architectural Engineering Integration & Structural Systems Design from AEI. Principal Holger Schulze-Ehring presents “Form as Unknown(X)” at CCNY Spitzer School Sciame Lecture Series and teaches Advanced Design Studio. The China Pavilion receives Wood Design Award in Beauty of Wood Innovation from Woodworks. Principal Holger Schulze-Ehring lectures and teaches interactive structural workshops at Columbia GSAPP. Museum of Tomorrow in Rio de Janeiro opens to the public. We are proud that Principal Holger Schulze-Ehring helped achieve this project in his previous experience with and under Santiago Calatrava. Principal Holger Schulze-Ehring interviewed for Archicreation’s “From the Vision of the Era to Tectonic Expression” publication on the design of China Pavilion. Principal Holger Schulze-Ehring & R. Whitlock present “High-Rise Residential Buildings: Innovations in Design & Execution” at 2015 Create + Construct Symposium. Principal Holger Schulze-Ehring & F. Masetti’s “Pushing the Boundaries of Timber Design: World Expo Milano 2015 China Pavilion” published in Structure Magazine. Principal Holger Schulze-Ehring interviewed by Civil Engineering Magazine for structural design achievements for China Pavilion project. Principal Holger Schulze-Ehring lectures on Parameterized Structural Design at Cornell’s College of Architecture, Art, and Planning. The China Pavilion Expo Milano opens. We are proud that Principal Holger Schulze-Ehring played a major role in this project with Studio Link-Arc and under SGH. We are proud that one of Principal Holger Schulze-Ehring’s previous works with and under Santiago Calatrava receives the “Special Design Award of Excellence in Urban Infrastructure” from the Society of American Registered Architects. Principal Holger Schulze-Ehring presents on High Performance Custom Design at the Advanced Enclosure Design Seminar in NYC. China Pavilion Expo Milano 2015 receives German Design Award Special Mention by the German Design Council. We are proud to see one of Principal Holger Schulze-Ehring’s previous experience projects with and under Santiago Calatrava receiving ENR’s “Project of the Year: Higher Education and Research” award. Principal Holger Schulze-Ehring presents “Digital Structures: Holistic Design & Fabrication” at SGH Campus Seminar in NY. Principal Holger Schulze-Ehring teaches Long Span Metal Structures and Bridges at Manhattan College School of Engineering. Principal Holger Schulze-Ehring collaborates with actLAB on the design of the Active School in Bohol, Philippines. Büro Ehring and Stephen Alton Architect propose the “Incubator” for Living Cities Residential High Rise. Principle Holger Schulze-Ehring presents “Principles of Form and Function at Auckland University, Canterbury University, and Victory University in New Zealand. Chris Burden’s Extreme Measures Installations open at the New Museum. We are proud that Principal Holger Schulze-Ehring helped realize Chris Burden’s vision with Gensler and SGH. Principal Holger Schulze-Ehring presents “The Transparent Element: Structural Glass Design & Application” at DPC Sustainable Green Trends Workshop in NY. Principal Holger Schulze-Ehring interviewed by Canterbury TV / The Press CO for his ambitious ideas for the Christchurch rebuild efforts. Jeff Koons’ Split Rocker Sculpture opens at Glenstone Museum. We are proud that Principal Holger Schulze-Ehring worked on the sculpture’s structural design under SGH. Principal Holger Schulze-Ehring presents “Form Follows Function: Structure & Architectural Concepts” at Cooper Union Evening Lecture Series in NY. Principal Holger Schulze-Ehring guest lectures, teaches workshop, and serves as juror for Graduate Design Studio at University of Pennsylvania GSD. Principal Holger Schulze-Ehring presents “The Transparent Element: Structural Glass Design & Application” at AIA NY Center for Architecture. Principal Holger Schulze-Ehring lectures at Princeton and presents “Forming Structure” at the Department of Civil & Environmental Engineering’s Form Finding Lab. Principal Holger Schulze-Ehring presents “Trends in Bridge Engineering – Modern Lightweight Steel Bridges” at GCA Seminar at Manhattan College.